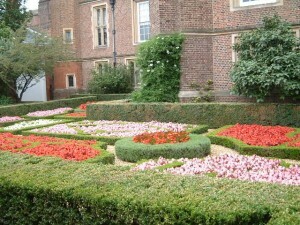 Here are some more Hampton Court photographs. This time, outside the Palace itself, in the grounds. This is the Mortal World equivalent of the stretch of the River Thames (Tamesis) where Drake brought “Anita” when she first met King Oberon on his Royal Barge. 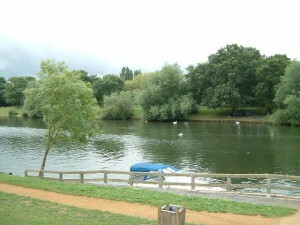 The Royal Barge of Faerie is more impressive than the little boat you can see here, but it’s in the same place. This is part of the Royal Gardens, facing North. Just out of sight to the right is the Brown Tower - the Faerie equivalent of Anita Palmer’s London bedroom. 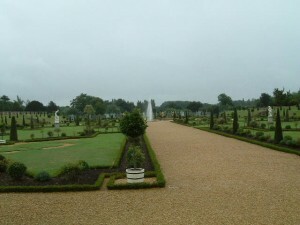 This is another view of the Royal Gardens, this time facing South towards the Royal Apartments. More Gardens with a gatehouse in the background. but unfortunately the maze just looks like a giant hedge from ground-level - and I didn’t manage to take a picture from above. If I get time, I’ll post some more photos in a day or two. The gardens are lovely! Wouldn’t mind visiting someday!! wow! thank you for posting them up! i wouldnt mid having those for a backyard! =D mr.allan, have u ever seen fairies there??? wow how do people keep those gardens looking so….WONDERFUL! Wow these pictures are exactly how I imagined The Realm of Faerie in the books. 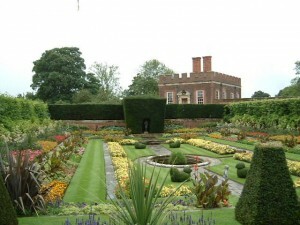 This website(http://www.gardenvisit.com/garden/hampton_court_palace_garden)has more pictures and information about The Hampton Court Palace Garden. AFJ. Daniela - I’ve never seen fairies there - but that might only be because they’re too smart to show themselves to tourists.